"Do you realize that if you fall into a black hole, you will see the entire future of the Universe unfold in front of you in a matter of moments and you will emerge into another space-time created by the singularity of the black hole you just fell into?" 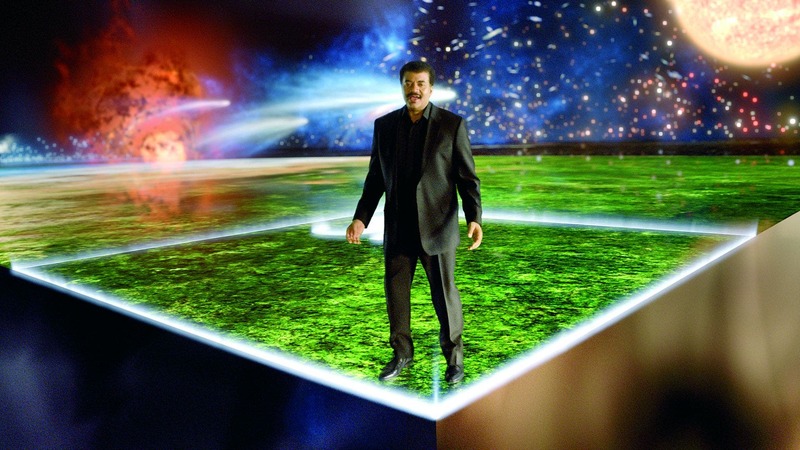 Neil deGrasse Tyson, famed astrophysicist, cosmologist, author, and host of Star Talk and Cosmos. Since 1996, he has been the Director of the Hayden Planetarium at the Rose Center for Earth and Space in New York City. 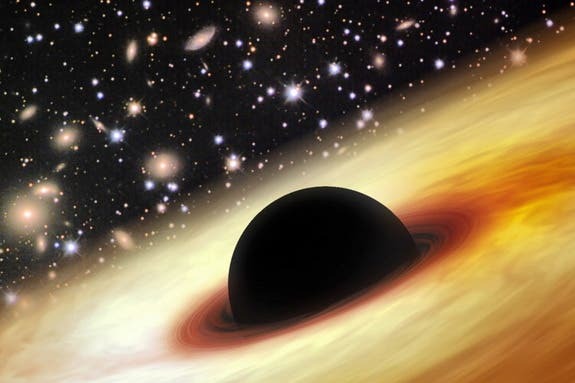 The image at the top of the page is an artist's illustration of a monster supermassive black hole at the heart of a quasar in the distant universe, known as SDSS J010013.02+280225.8, the largest and brightest ever found — an ancient monster with a mass about 12 billion times that of the sun — that dates back to when the universe was less than 1 billion years old.